I have been growing dwarf- or French- beans for 2 to 3 years now and can honestly say they are probably the easiest vegetable plant I have ever grown. 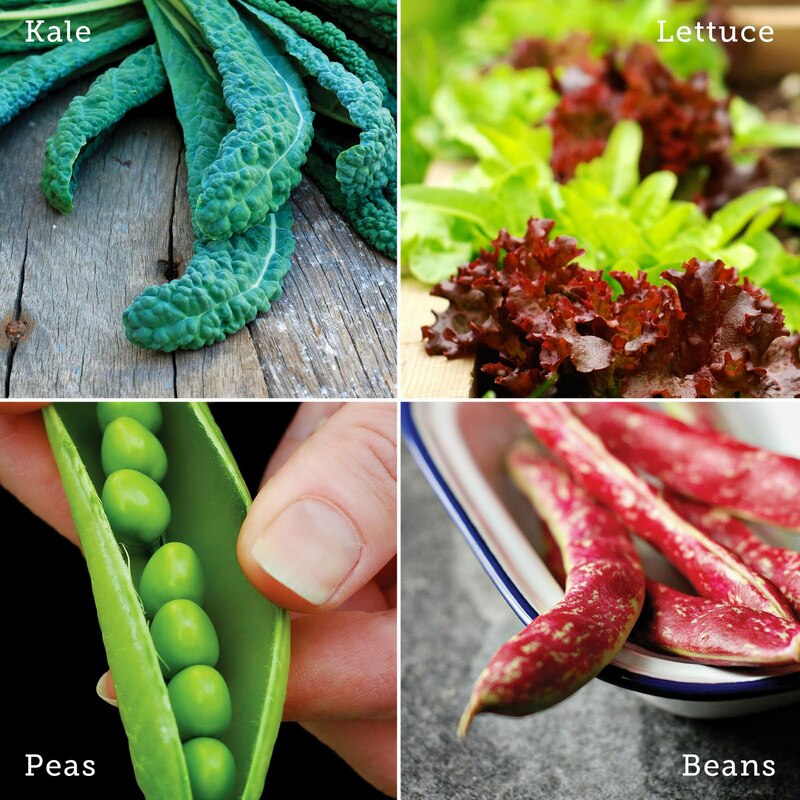 They are such a versatile plant that can be grown in many situations and are also a great smaller alternative to the old favourite, runner beans, if you have limited space. 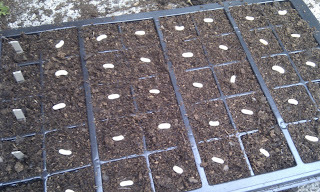 This year I am starting my beans off in seed trays. 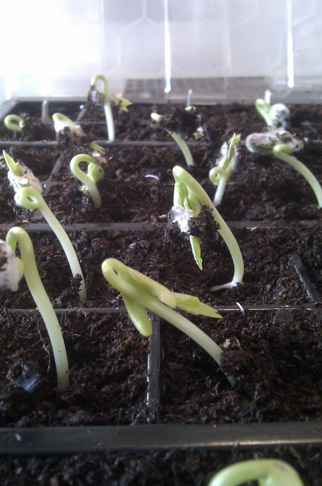 I did try planting my beans in cardboard toilet rolls last year but must admit that I did not honestly see any massive improvements in growth or crop compared to those planted in normal pots or trays. 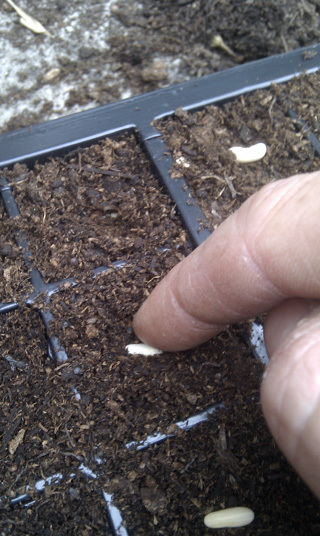 I planted my dwarf beans in the second week of May, but you can plant them as early as March if they are kept indoors away from frosts to germinate. 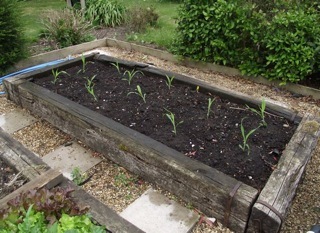 When planting beans as seeds, make sure you use a good compost and only plant the seed just below the surface of the soil. 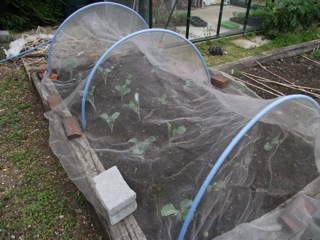 Keep them somewhere warm and light and give them a good spray with a mister so as not to disturb the soil or seeds. They will start to germinate after a week or so. 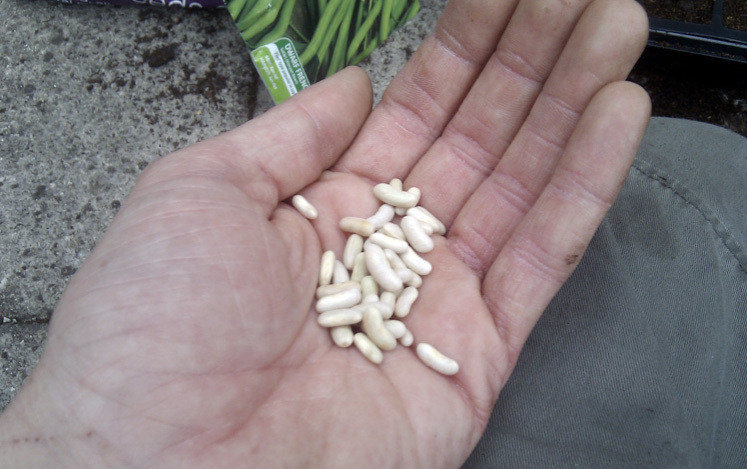 I always let my dwarf beans get to a good 2-3 cm high before considering planting them out. 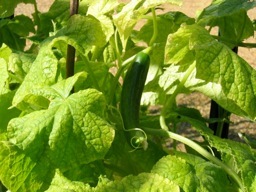 This gives them a good head start against slugs and other pests. Last year I planted my beans in the ground and planted a few in large pots. The beans that I planted in pots last year definitely needed more care and attention. 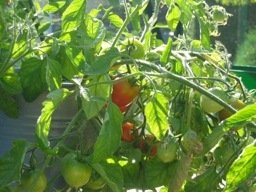 They dried out a lot quicker and required a lot more watering. This year I am going to give the pots a second chance but also incorporate some beans into my flower garden too. 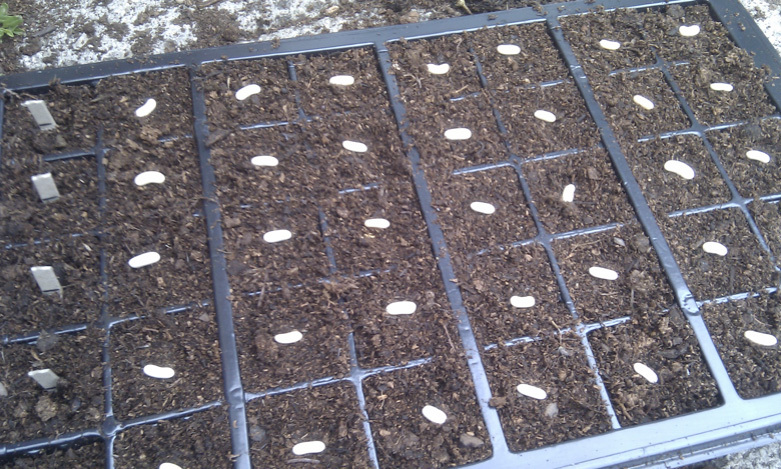 Most bean varieties will need some support to grow up. This can be provided by a few garden canes or a wicker wigwam. One bit of advice I would give is to always make your climbing structure larger than the size says on the seed packet. I always find that mine go a little further! Beans should be ready to harvest from late June right through to late September. Don’t be afraid to pinch the small pods as they come, they’re delicious just boiled until tender but not soggy! 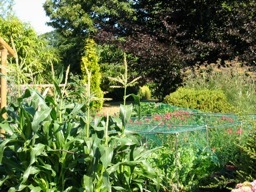 You don’t need a dedicated vegetable patch or allotment to grow a lot of the foods we would normally buy from the supermarket. 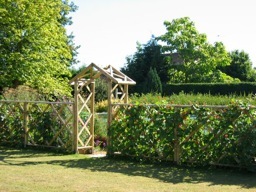 Two or three wigwams of beans planted within your bedding plants or shrubbery will fair just as well as those planted in a vegetable patch. And picking the right companion plants such as Tagetes and Marigolds can also deter pests improving your crop. 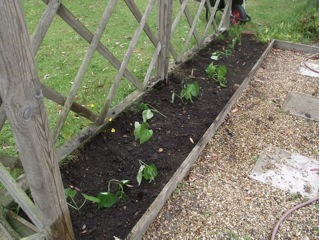 Planting a few beans for yourself is also a great way to help reduce your carbon footprint. Most of the beans bought in supermarkets have flown from places as far away as Africa!